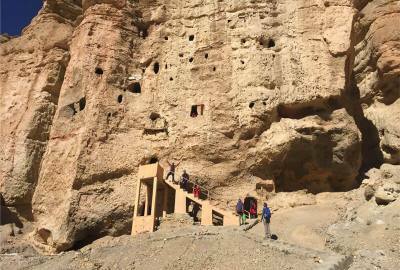 Highlight of the Trip:Non Touristy route specially mixed life, Mustang Royal palace, Royal family and monasteries. Tiji Festival is auspicious celebrated in Upper Mustang every year on month of May. Tiji Festival is celebrated to score the victory of Good to iniquity. 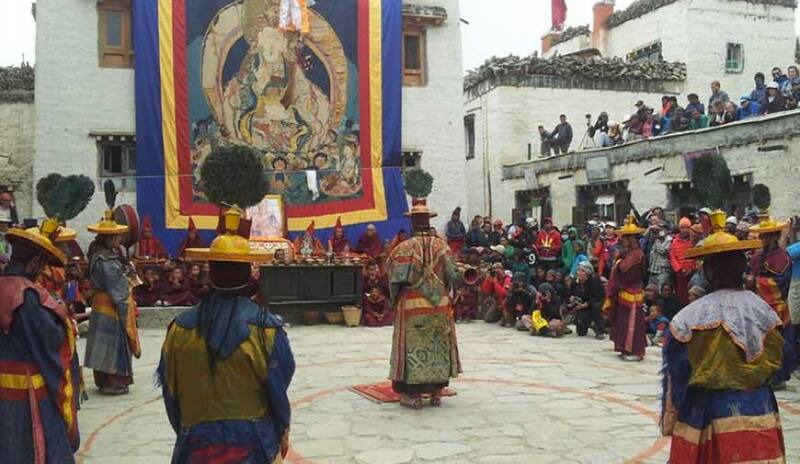 The Tiji Festival performance is held at Chhode Monastery in Lo-manthang. Lo-Manthang is the headquarter of Upper Mustang. Thousands of people gather from different part of the world to watch Tiji festival. 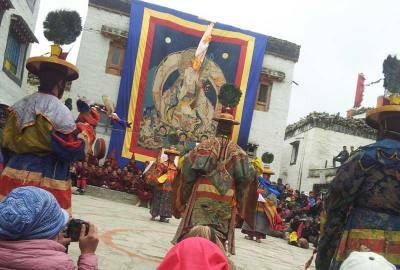 Tiji festival is the biggest festival of the Upper Mustang. Upper Mustang is an ancient Himalayan Kingdom which lies in the northern central part of Nepal and at the top of the Kaligandaki River. 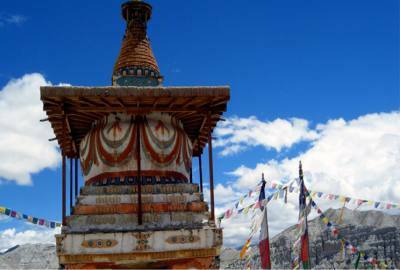 Upper Mustang consists of two distinct regions: the southern part and the northern where the languages, culture and traditions are alike to those of the Tibetan people. This area is consider as one of the most interesting and picturesque places in Nepal. The whole area has an isolated and mystical feel to it, enchanting and inspiring visitors to this region. The trek to Lo- Manthang is through high altitude desert country climbing in and out of the huge sided valley of the Kali Gandaki. In places the gorge which the Kali Gandaki River runs through is the deepest in the world. This region is full of some of Nepal's oldest Buddhist Monasteries, ancient and isolated villages with quaint white washed houses. 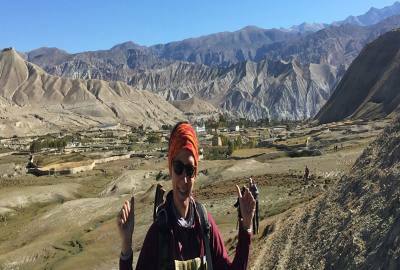 Trek highlights explore the ancient Himalayan Kingdom, Interesting and picturesque villages, World Deepest gorge (Kaligandaki Valley) Buddhist monasteries,Ghompas and ancient Chortens, ancient and isolated village near by tibetian plateau, unique culture and Tradition. A1 Excursion Adventure offers you 17 days Mustang Tiji Festival. A1 Excursion Adventure always believe in providing excellent service with a tailor-made trip for you with popular route map and trek itinerary as well as cost detail.. We, A1 Excursion Adventure look forward to guide you the popular Mustang Tiji Festival for a life time memory. Day 02Half Sightseeing at Kathmandu and trek praparation day. BOUDHANATH STUPA : lies about 6 km east of downtown Kathmandu and is the largest stupa in the Valley and one of the largest in the world. It looms 36 meters high and presents one of the most fascinating specimens of stupa design with hundreds of prayer wheels and 108 small images of Buddha all around. Just like the Swayambhunath, the stupa here is too has four sides with the watchful eyes of Lord Buddha. All the Buddhist throng to this stupa to take part in the sacred rituals during the Buddhist festivals. The area of the stupa boasts of more than 35 gompas and is easily accessible by being a short walking distance from Pashupatinath and a little north to the airport. The Losar, the Tibetan New Year Day coming around in the months of February or March, is grandly celebrated as the biggest festival here. Therefore, a massive crowd of tourists can be seen swarming the place during such days. Fly to Pokhara in the early morning and half day sightseeing at Pokhara. 6:30 am flight from Pokhara to Jomsom (15 Min Flight), breakfast at Jomsom and Comencing trek to Kagbeni (3.5 hrs easy walking) Overnight stay. Early breakfast at Tea House in Kagbeni and start trek to Chele (3050M). (We enter in restricted area from this day) (5-6 hrs, almost easy walking following kaligandaki River) , Overnight Stay. Following a descending path you reach Chuksang by crossing a suspension bridge over Kali Gandaki. Overnight syat at Chhuksang. Early morning fly from Jomsom to Pokhara and then take a flight from Pokhara to Kathmandu. Free day at Kathmandu. Sightseeing by private vehicle with professional tour guide. If the group size is above 12 pax then the leader will be FOC except the Trekking Permit taxes and fight ticket.